Before you go blasting the cool air from your A/C, make sure you’ve given your trusty appliance it’s yearly check-up. Air conditioners require regular maintenance to work at their peak. If you follow our tips each year, you’ll be staying cool and saving cash—in energy bills and unexpected repair costs. 1. Change the filter. Central air systems should have their filters changed at least every few months. But if you’ve let the chore slide to the back of your mind, now’s as good a time as any to replace the filter. 2. Clean the vents. Again, a regular dusting several times a year is a must. But if you’ve been slacking, do it now. You could also consider having a professional give your air ducts and vents a thorough cleaning. 3. Check to see if you’re blocking the condensing unit. The part of your air conditioner that draws air into the system obviously needs to be uncovered. That means any fold-able patio chairs you’ve conveniently stored in your A/C closet for the winter need to come out. Also take the time to clean obvious obstructions like leaves from around the unit. 4. Check your freon levels. 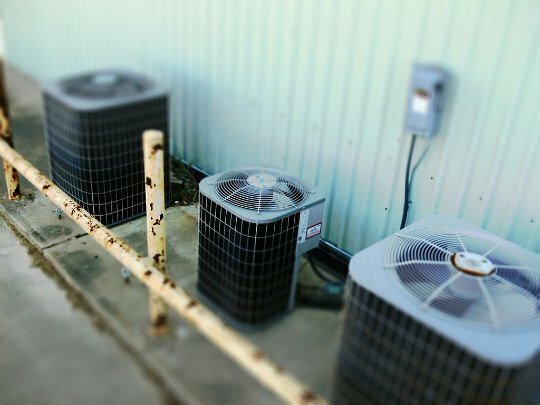 Your air conditioner isn’t consuming freon coolant, so under ideal conditions, the freon would never need to be filled or changed. But you could have an HVAC tech check for a leak (especially with older models) or another irregularity as part of your annual A/C maintenance plan. 5. Check everything else. If you’re going to have a pro come in to check the freon, also have them check that the electrical controls and coils are in top shape. A professional HVAC tech can also calibrate your thermostat. Cottam Heating and Air Conditioning is the leading heating and cooling company in City Island, New York City and Westchester. If you have any questions about cracked heat exchanger detection of if you’d like a heating system or installed in your home, contact Cottam! Give us a call at (718) 885-3328. You can also check us out on Facebook or Twitter. We service City Island, Manhattan and Westchester counties! can maximize the Energy Efficiency in your older Home. energy efficiency, and significantly reduce your heating costs. Heating Bills by as much as 20%. The best types of insulation available now are blow-in spray foam options. Insulating an attic can be a fairly easy DIY project. water Cylinder, these are available in most Home and DIY stores. Check for drafts and seal air leaks use draft excluders under your Doors. Add clear plastic coating or insulating Film to windows to improve their energy efficiency. Zone you’re heating so that it’s more in line with your living patterns. this will help you make significant savings on your home heating bills. you’re spending extra money to keep those appliances running. If you’re considering upgrading then upgrade to A rated appliances.